Marvelous Multiagers! : A Few Books For Ya! I have had no idea what to write in the past few days!! I was sick yesterday so any awesome stuff I would have written about... I wasn't there for. Oh wells. Today I am here to tell you about a few read-alouds that I used this week! I already posted the Groundhog Day craftivity that we did, but I read a few books about Groundhog Day that I did not mention! 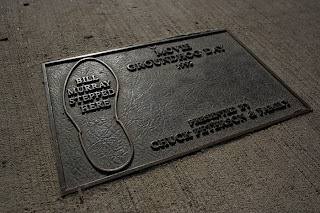 I should say that Groundhog Day is a big deal around here, because I live right next to the town where the Groundhog Day movie was filmed!!! My first grade teacher was an extra! Anyway... here are the books I read. This was the kids' favorite of the two. In the story, the raccoon wants 6 more weeks of winter because he runs a ski lodge. When the groundhog wakes up after hibernating until February 2nd, the raccoon kidnaps him! We are in the middle of a mock trial in my classroom so my kids were really into the kidnapping situation. It was pretty good. This one was okay. 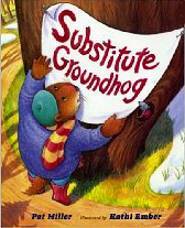 The groundhog is sick and needs a substitute. He ends up picking an armadillo, which leads him to a Texas vacation. Kind of random. Also I just read this book, but not to my students. This was a really fantastic book with beautiful illustrations. 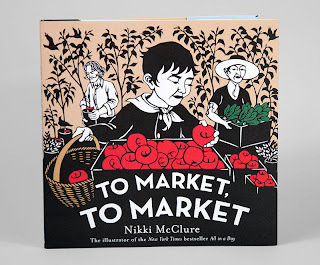 It was about a mother and son who go to a farmer's market. As they go to each booth to pick up their stuff, the story explains how the food got to the market. It was very interesting! I don't know if my kids would care. But it might be great for older students! It touched on shopping locally, locally-grown food, and sustainability! Yeah! And here is another set of tag questions from Miss Squirrels! These ones are about love, awwww. When was the last time you talked to your high school sweetheart? After we broke up, in college. It has been a few years. What is the most important quality in your lovey-dovey? He is incredibly supportive of everything I do! Also he puts up with me acting like a 6 year old or a teacher all the time. Haha! Do you believe in love at first sight? Has it ever happened to you? Mmm... not sure. Hasn't happened to me! Where is the most romantic place you have gone for a date? Umm? I don't know. I haven't been on a ton of "dates" I guess! Does your sweetie support you in the blogging world? He supports me 100,000%. Right now he's trying to get a job at a charter school in the city (fingers crossed!!) and if he does, he says he's going to start a blog too! Yeah!! If you could plan a getaway with your honey, where would you go? California, for the 3rd time now... haha. Or maybe Key West? Or anywhere warm? What is one word that best describes you both as a couple? These are hard!!! I will say "chill." We like to chill. We are super comfortable. How long have you been with your honey-bunny? It was 3 years in January! What is best present you have given to someone for Valentine's Day? 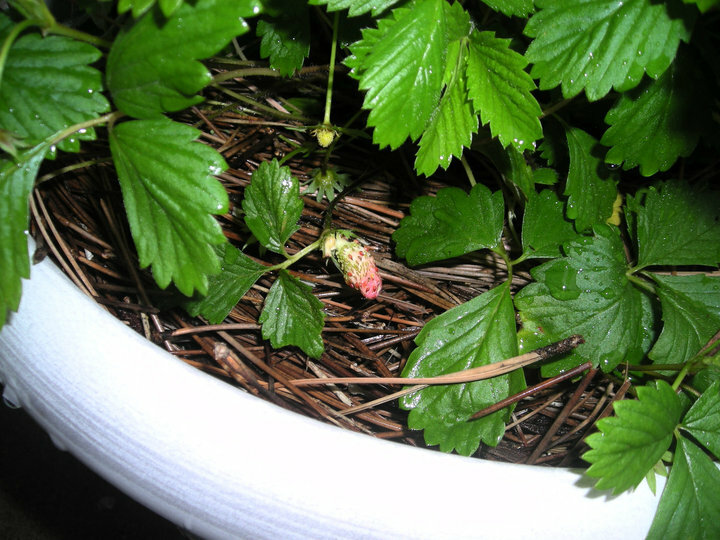 Well two years ago I gave Matt some strawberry seeds and then he grew a strawberry plant, which grew this little strawberry!! Where was your first date? We met at a New Year's party! A day or so later, we were supposed to go out for sushi (yum) but every place was closed! So he cooked for me instead, yeah! That was supposed to be number 11... dumb picture messed it up! Oh wells. Have you ever grown fruit? And why does that strawberry look like a "baby monster", as my cousin Kelley once said? Yes, we took over the Cheesecake Factory today! We had a square foot garden in our backyard and we did grow strawberries and they were delicious! We let it go but are gearing up again for this spring. It's so cheap!!! That's funny-I read those exact 2 books to my class this week. 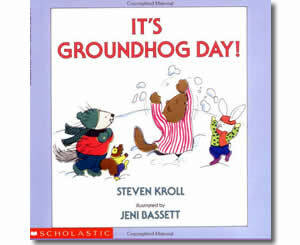 There just aren't a lot of books about Groundhog Day! I was surprised by how much my kids liked the one with the raccoon and the ski lodge-bizarre-and could the animals' names in that book have been more ridiculous?? At least we're moving on to a holiday that has tons of books now-so many Valentine's books! Haha!! Their names were so weird! We were talking about how there are two sides to every story, and when I was writing out our thoughts, I could not remember any of the dumb names! I totally forgot about that. Godfrey the Groundhog, geez louise. It will be my golden birthday next year. That means your brother and I are the same age too! :) Crazy!